Britain’s Got Talent is on our screens again on Saturday nights, and the audition shows so far have already thrown up some interesting, hilarious, and above all, talented performers. There’s a long way to go until we reach the semi-finals, where the remaining 45 acts will perform in a series of daily shows throughout the week, to decide who appears on stage in the grand final. A £250,000 prize and the chance to appear at the Royal Variety Performance are on offer, which makes this one of the biggest talent shows in Britain. The fact that it is open to any kind of act, including those under 16, sets it apart from other ‘talent’ shows such as the X Factor and The Voice, and the winners of the previous eight series are an eclectic group. The first series was won by unassuming Paul Potts, the mobile phone salesman who wowed the judges and audiences with his operatic singing voice. Season two was the first to go to a performer under 16, as 14 year-old George Sampson won with his street dance act. Series three also went to a dance act, with group performers Diversity taking the competition. Season four was also won by a dance act of sorts, as acrobatic gymnastics group, Spellbound, took the prize with their impressive stage show. We had to wait until series five for another singer to win the show, when Scottish singer/songwriter Jai McDowell was victorious. Series six was famous for Ashley and Pudsey, the dancing girl and dog act, which the nation took to its collective heart. Series seven was won by yet another dance/performance act, as shadow theatre group, Attraction, came out on top. Finally, last year’s show was won by Collabro, a boyband with a very classical feel – they performed a hit from the musical Les Miserables in their first audition. With that in mind, when we look at the betting we should consider all different types of act. Calum Scott has been steadily supported into favouritism since his rendition of Robin’s ‘Dancing On My Own’. You can watch his audition here. He performed immediately after his sister, who received four No’s, so it was an emotionally-charged performance, and one which the cynics might say was beautifully engineered by the show’s producers. Either way, there was no denying that he has a cracking voice, he looks the part, and Simon Cowell pressed the Golden Buzzer, so he has a great deal going for him in the competition. The price is possibly a bit too short to get involved now though. Boyband are the other act to receive a Golden ticket to the semi-final, after Ant & Dec ran on stage after their performance to press the button on the judges desk. They caused a surprise among the audience and judges after a sheepish entrance led to a dynamite performance. They’re an energetic dance group of five young lads, and will probably have plenty of opportunities ahead of them. Can they win this competition though? It’s a tough one. It’s been revealed that they reached the final of a similar talent show on Sky TV, and that sort of thing can sometimes put the voting public off. Fans of this show generally want to feel that they’ve unearthed a talent, rather than vote for a group that has been ‘on the circuit’. Cor Glanaethwy brought a 162-strong choir to the auditions, and produced an outstanding performance. They were given a standing ovation, and are just the sort of act that would perfectly suit a Royal Variety Performance. The Welsh Choir had performed as a 50-piece group in a previous year, but came back bigger and better this year to wow the judges and audience alike. They are definite contenders in our book, and will be worth keeping an eye on. Becky O’Brien is another inspiring performer, who brought her five children along to watch her smash a cover of ‘Somewhere Over the Rainbow’ out of the park. It was an uplifting performance but to be ultra-critical, from a betting point of view, one wonders if she has that something special to beat the other stand out acts in the competition. One act that impressed for a variety of reasons was 12 year-old singer/songwriter Henry Gallagher. He showed confidence beyond his years to bound on stage with his guitar and sing a self-penned song about a girl that he’s too shy to ask out. 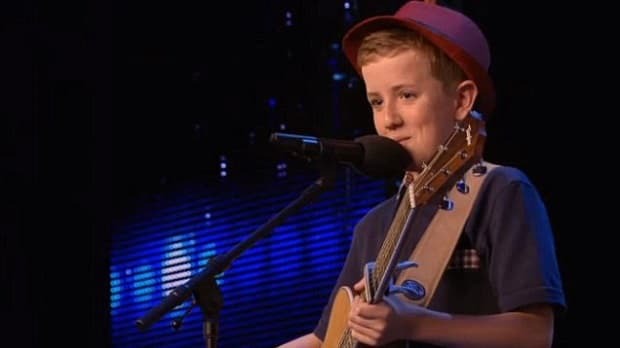 The little back story certainly earned him favour with the judges and audience, but his song impressed too, sounding a bit like a ‘Busted’ or ‘McFly’ number, and for one so young, he’s sure to get plenty of public support. Jamie Raven was another performer to impress, and the magician caused an unusual turn of events when his tricks led to Simon Cowell declaring that he believes in magic! His chances might have been dented somewhat by the media revealing you can buy his trick online for less than a tenner, but that doesn’t necessarily rule him out. Most people are aware that tricks are just that – tricks – but it’s the performance and the style in which they are carried out that makes the magician. 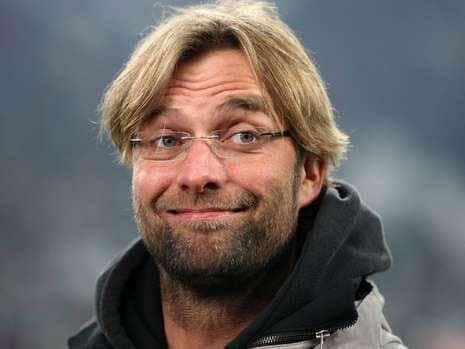 One thing is for sure though, he will have to keep on upping the ante and producing better and newer tricks to retain the wow factor, and it remains to be seen if he can do it. We’re recommending bets on two of the acts that have auditioned so far, and both provide a bit of value. Cor Glanaethwy didn’t hit a bad note between them and are just the sort of act that would grace a Royal Variety Performance, while young Henry Gallagher could easily become the housewives’ favourite.